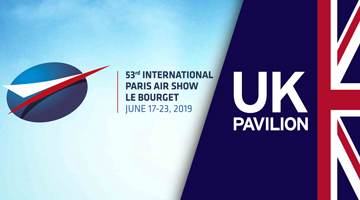 ADS is once again coordinating the UK Pavilion at the 53rd Paris Airshow which will take place in Le Bourget and the UK Pavilion will occupy its traditional position in Hall 2B. This event; over a hundred years old, is the largest and longest-running Aerospace trade show in the world. Since its launch, the show has been at the very heart of developments in the global Aerospace market, for which it has become the most important meeting place over the years. Open to professionals and the general public alike, it inspires a large number of vocations. It will bring together all the players in this global industry around the latest technological innovations. The first four days will be reserved for trade visitors, followed by three days open to the general public. Please download the floorplan and review what is included in the exhibitor options. Prices are quoted per square metre. Do not hesitate to contact a member of the sales team for any clarifications, otherwise please secure your place by booking online.